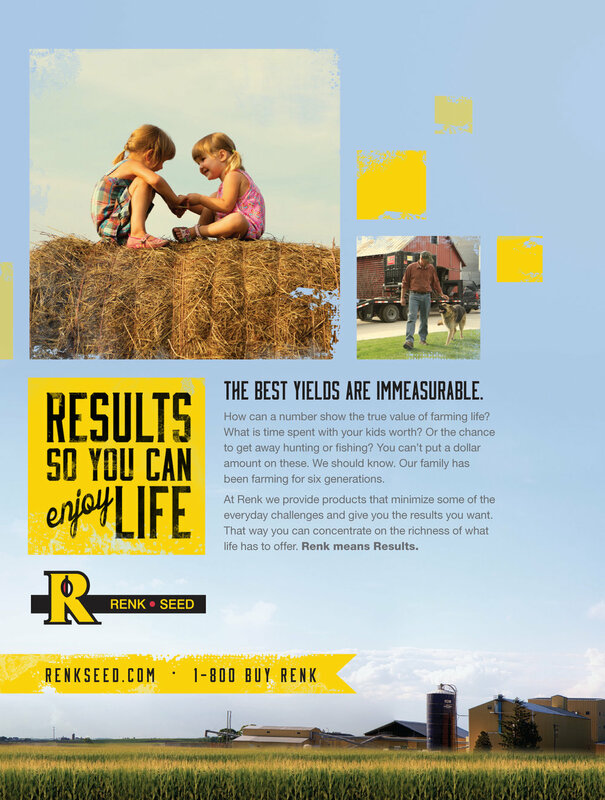 This campaign, developed for Renk Seed in Sun Prairie, WI, contains a multimedia approach utilizing print media, web, banner ads, billboards, print ads, and a field day event drawing a crowd of Renk enthusiasts right to their headquarters. Overall, the look is reminiscent of old weathered photography, creating a feel of being around for ages. 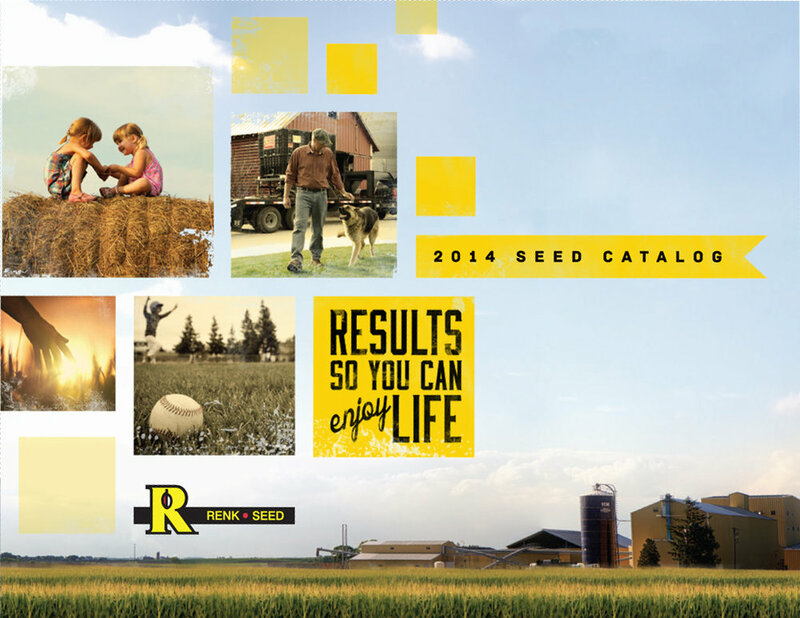 There is also a tone of knowing what's really important at the end of the day—family.